"Do you teach?" After a few requests from shoppers at our outlets, we decided to start basic cupcake decorating workshop. 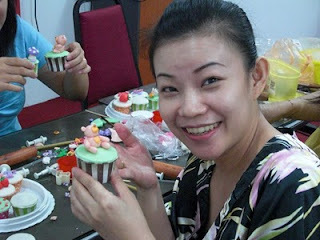 Here're some snippets of our very first cupcake decorating workshop. Introducing to you our first two participants: Josephine and Bebe. They are cousins. 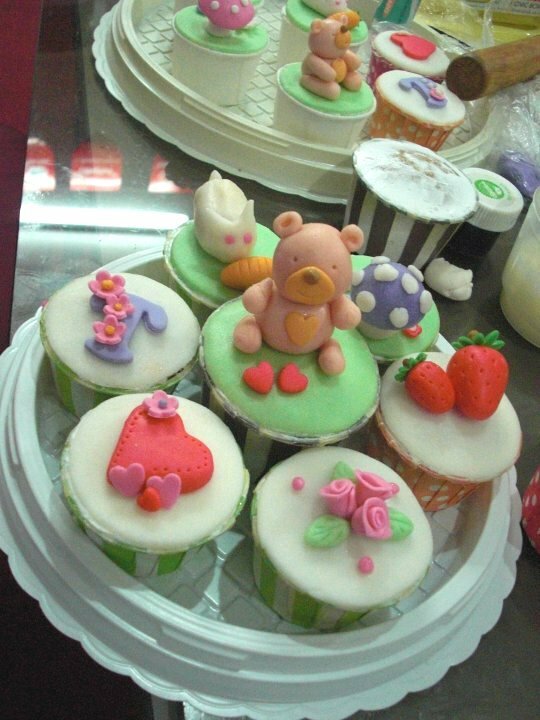 They laughed a lot and they knew nothing about baking and cake decorating. Bebe is a big fan of Facebook. 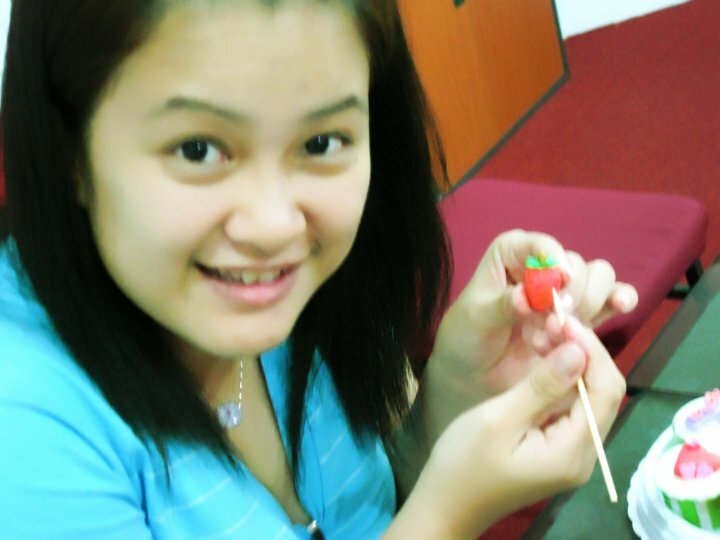 She kept taking pictures along the workshop to upload onto Facebook. Oops, excuse me, the table was really messy with our "work-in-progress" stuff and this scene was just the beginning of the workshop. Oh, Bebe was so sweet. 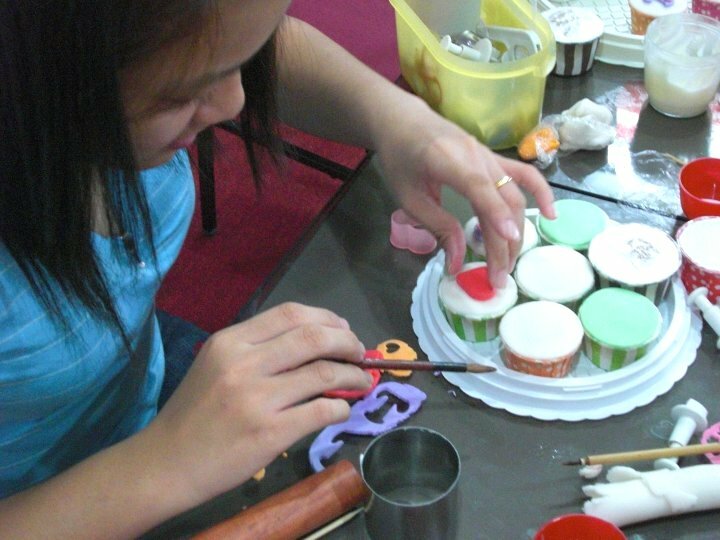 From a total newbie, she could then sculpt a strawberry and a mushroom, cut out alphabets, flowers and red hearts, roll up ribbon roses and even make a 3D rabbit and a 3D teddy bear without any mould. So as Josephine. Kudos to them! The finished work of Bebe (front) and Josephine (back). So beautiful! Thumbs up for them! If you're interested to join our workshop as well, call Amy (016-4011319) or send us an email enquiry. We're more than happy to teach and share the fun of cake decorating with you!